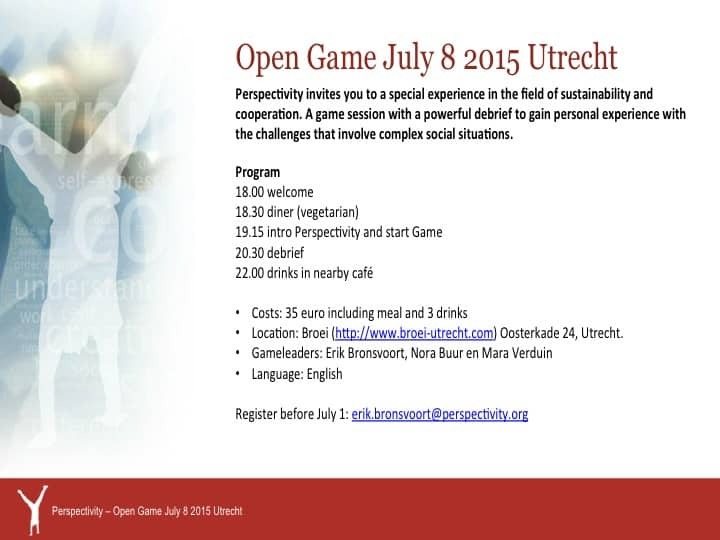 Open Game July 8 in Utrecht! Perspectivity invites you to a special experience in the field of sustainability and cooperation. A game session with a powerful debrief to gain personal experience with the challenges that involve complex social situations.